Little Tybee Paddlers Beach Sweep - Sunday, July 15 In conjunction with Clean Coast.org.. We will be meeting at Alley #3 for a 9am departure to Myrtle and Buck Beach. Picking up all that blots the L.T. landscape, we'll throw everything in the Clean coast skiff for quick and easy removal. Find the Wassawsaurus and you'll win a gift certificate for a kayak class. We will be supplying 10 free cockpits for those that do not have kayaks. Call to reserve a space if you need it. Whitewater Weekend to Bryson City - August 10-12 We'll be loading up the van and heading for the hills in August for a weekend of whitewater skills and river running. We hope to hit Bryson City for some instructional based freestyle and river running techniques with ace boater Jason McClure and friends on the Nantahala River. We may also be taking a tour of the famous Pyranha HQ and meeting with legendary kayak entrepeneur Jim Hager. The all inclusive weekend will include transport, accommodation, equipment and guides. Tybee Kayak Races - Saturday, September 15. Moved back to September to coincide with the Ocean Exchange gathering, in it's 14th year this ever popular and classic kayak event will not want to be missed. With the addition of new racing regulations and the inclusion of the stand up paddling community, large crowds of brah's, dudes and the regular tybee paddler low life are expected. Gear Swap and Flea Market - Saturday, September 29. 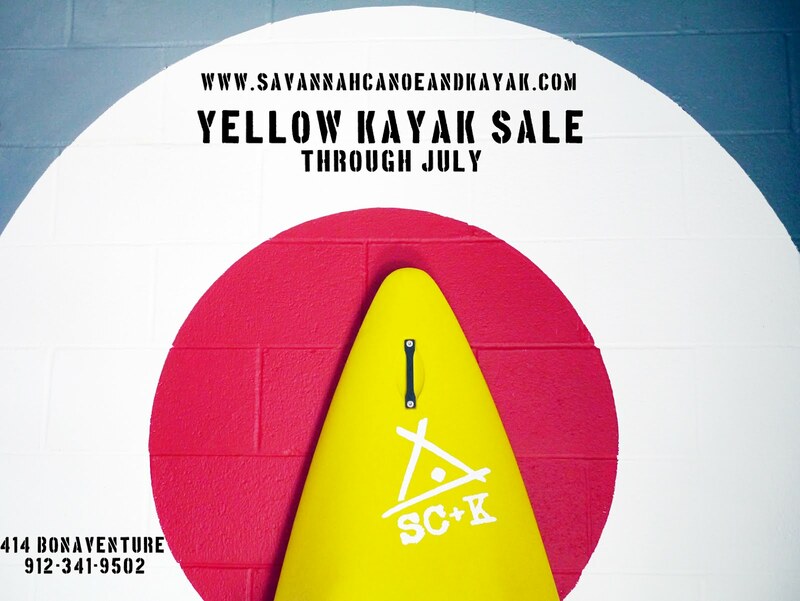 In the parking lot of the SC+K headquarters we'll once again be rolling out the tables and ground cloths to sell our used and unused kayaks and outdoor gear. We want you to bring all your outdoorsy crap also. With the addition of live music, doughnuts and plenty of paddlers paraphenalia, this year's sale will be memorable. 4th Annual Tybee Island Paddle Surf Jam - Oct 20.Yes, it is happening for one more year. It's fun, it's fresh, and it's our opportunity to give away a kayak to a deserving member of the paddle surfing fraternity. 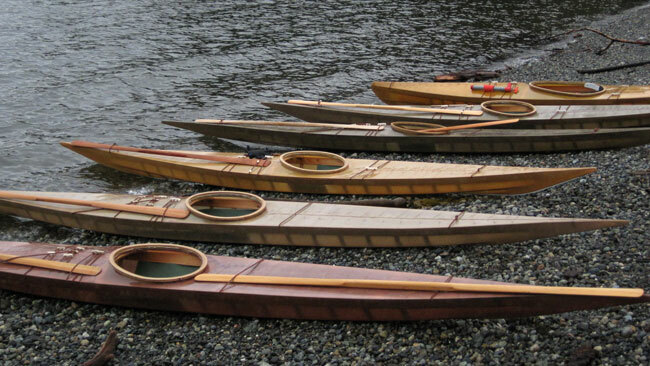 A new category this year will be added...'Open Canoe'. Skin on Frame Boat Building Workshop - Nov 3-10. West coast boat builder extraordinaire Brian Schultz will be lending his expertise and guidance for 6.5 days. At the end of this time you will own your own traditional style kayak, weighing in at a mere 25lbs, and a skinny stick paddle. 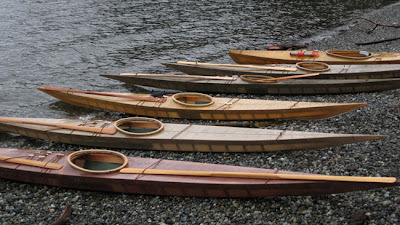 Not only will you have made your own kayak, but you will also gain a greater understanding into the roots of paddling. If it's yellow, it's on sale. 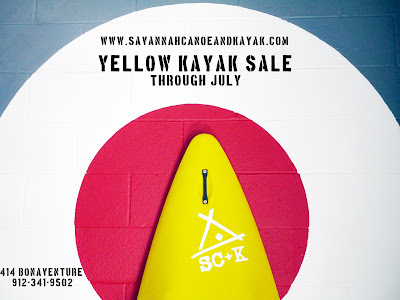 Kayaks, paddles, and accessories will be anywhere from 10-20% off until the end of the month. In conjunction with cleancoast.org there will be a clean up session on Little Tybee. 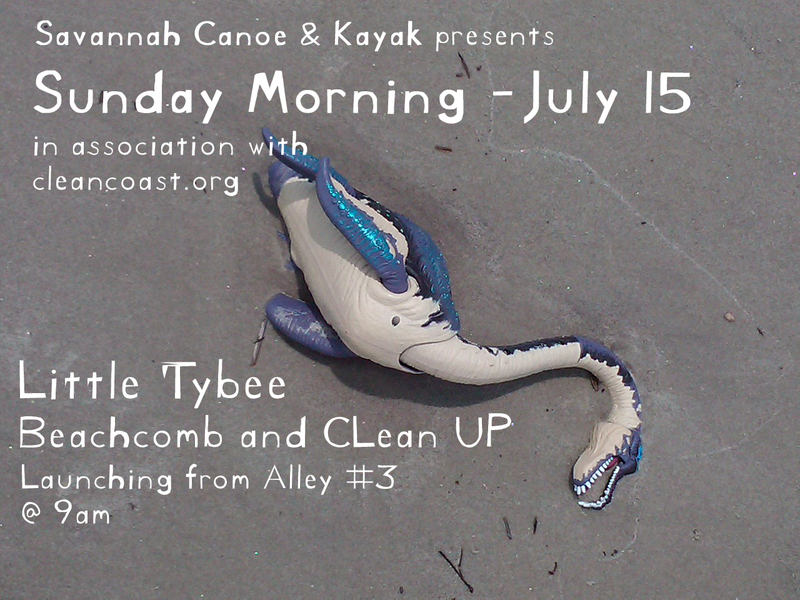 Launching at 9am from Alley 3 we will head to Myrtle and Buck Beach, the heaviest used parts of Little Tybee. There is also a chance to win a gift certificate if you come across the Wassawsaurus, as pictured in our flyer. We should be done by 12 noon. We have ten free cockpits if anyone needs them. Just call the shop to reserve your spot.